In an interview with Brian Kilmeade on his radio program Monday, President Trump’s former attorney John Dowd said that the Department of Justice had organized nothing less than a “coup” to dethrone the president and overturn the results of the 2016 election. Dowd, who parted ways with Trump back when the president was still insisting on a sitdown interview with Robert Mueller, has not abandoned his longheld belief that Trump is the subject of an out-of-control witch hunt. “Little did I know that it appears that they were all in it together,” Dowd said. “I mean Rosenstein, Comey, Mueller, McCabe, the whole crowd – they were out to get this president no matter what. I don’t think they sincerely believed anything about Russia. Dowd was of course referring to the Times story from over the weekend which revealed that the FBI opened a counter-intelligence investigation on President Trump following Comey’s firing. According to the article, certain leaders at the FBI and the DOJ began to suspect that Trump was covertly working for the Kremlin around this time. 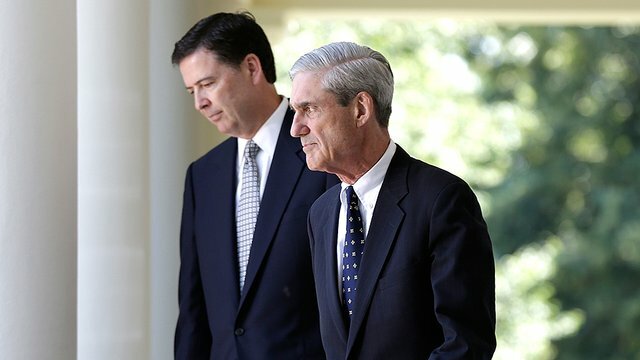 The Times reported that the investigation was ultimately folded under Mueller’s umbrella, though it is not known whether or not it continues to this day. In an interview with Fox News on Monday, Rep. Pete King (R-NY) said it was “absolutely disgraceful” for the FBI to launch an investigation into Trump on such a flimsy premise. “They had been investigating the Trump campaign from the summer of 2016, and zero had come up involving President Trump,” King said. “James Comey told that to the president. The reason President Trump fired Comey was Comey refused to say that to the public, that the president was not under investigation.